It’s only seven (!!!!!) days until the final book in the My Blood Approves series comes out. I know these last few days seem to be taking forever – at least for me, I don’t know how you all are feeling. 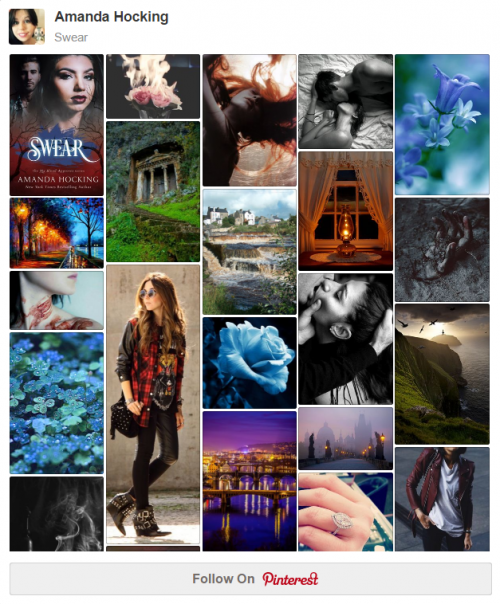 But if you’re chomping at the bit for hints about what is to come in Swear, you might want to check out my Pinterest board, which I created while I was writing the novel and pinned all kinds of inspirations. If you haven’t yet, you can also read the first three chapters for Swear: here. For more info, you can check out my announcement post about Swear: here. Hi Amanda. Found your site through the NaNoWriMo donors page. Thanks for donating! My Blood Approves series looks awesome! Good luck with NaNo 16!